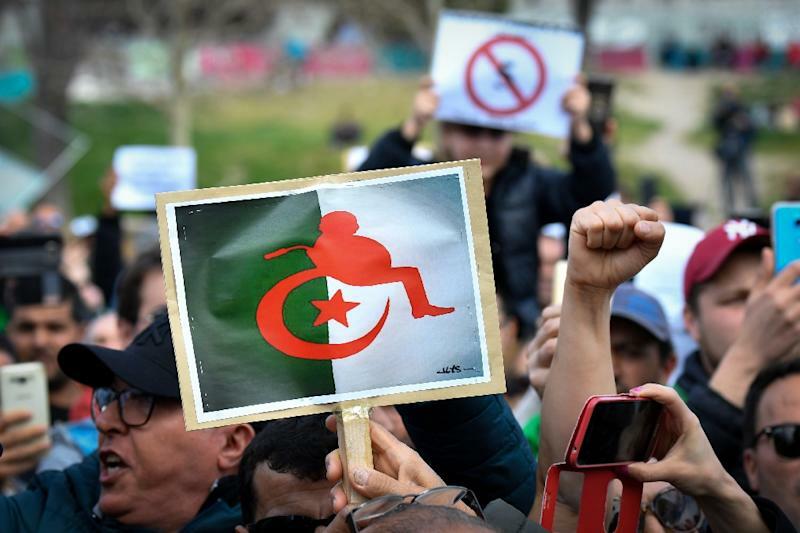 Paris (AFP) - Thousands of people marched in Paris and other French cities Sunday to protest Algerian President Abdelaziz Bouteflika's bid to stand for a fifth term in office. 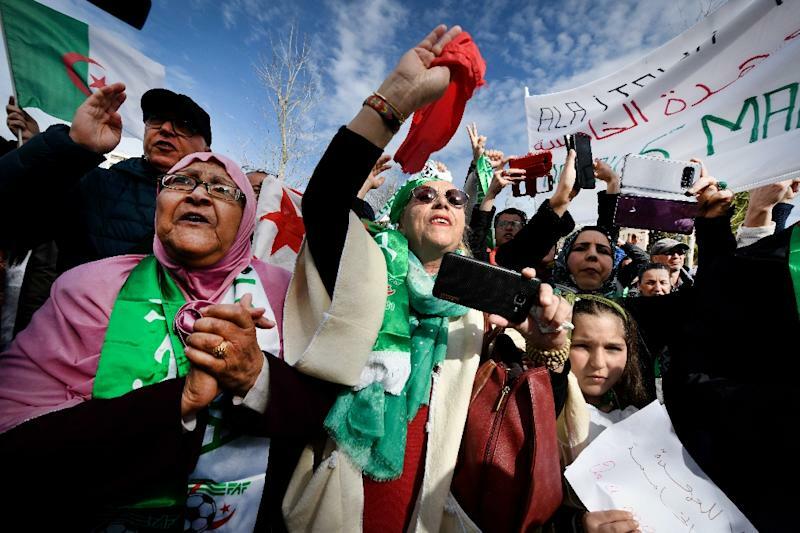 The demonstrations coincide with large-scale rallies in Algeria to denounce the ailing president's bid to hang on to power. Bouteflika, 82, uses a wheelchair and has rarely been seen in public since suffering a stroke in 2013. He flew to Switzerland a week ago for what his office described as "routine medical checks". 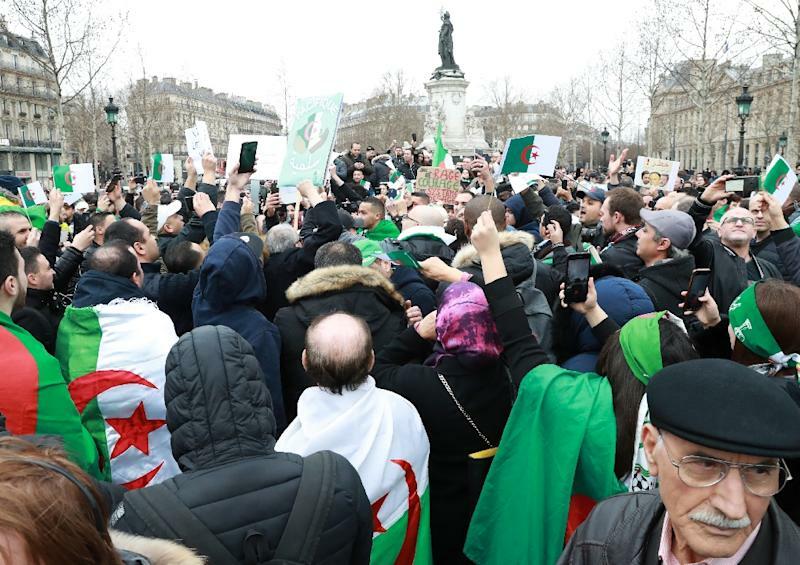 Organisers said 10,000 demonstrators from Algeria's large diaspora gathered in the Place de la Republique, in central Paris. Police put the numbers at 6,000. Many waved their national flag or wore it over their shoulders, shouting, "out, out", an AFP journalist at the scene witnessed. Organisers said about 1,000 turned out in the Mediterranean port of Marseille in the south, and a few hundred in the southwest city of Toulouse. Although Bouteflika has been increasingly frail since suffering a stroke in 2013, he was re-elected for his fourth term in 2014. Elections for a new president are due to take place on April 18. "No to the mandate of shame, 20 years is enough," proclaimed one placard in Paris, referring to Bouteflika's intention to stand in the April 18 elections after 20 years in power. Since gaining independence from France in 1962, "Algeria has been run by the same group of men, the same system," 62-year-old Abderrahmane Hamirouche told AFP. "Algeria is ruined while it's a country that potentially could be rich. What is there left for future generations?" the IT specialist asked. Nadia Tamzali, a 62-year-old Franco-Algerian doctor, criticised the country's lack of free speech and dominance by the military. "They have killed our culture -- nearly all the cinemas have disappeared," she said. "We want the 40 thieves to go. They have gone too far," said a 54-year-old Algerian who gave his name as Asri. "We aren't opposed to the president, but he is unconscious, he doesn't exist anymore, his generals and those close to him are doing what they will behind his back," said Asri, who has lived in France for 31 years. Algeria, a former French colony, won independence in 1962.